WOW look at that view at high tide, just beautiful. 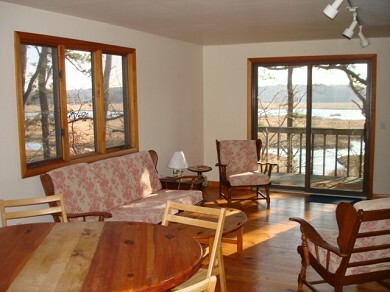 Huge Living room overlooking the water views. 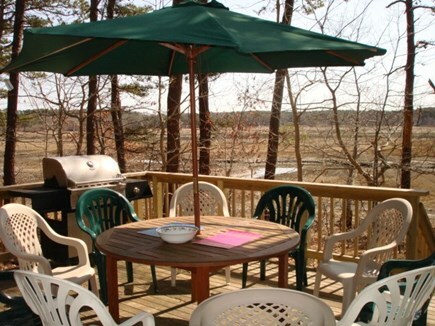 Dining table with water views, grilling deck access close too! 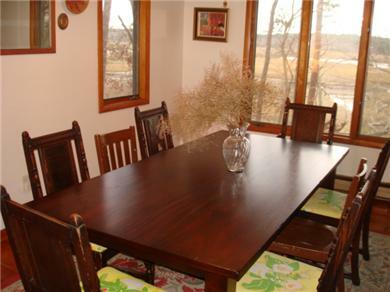 Eat-in kitchen off the dining area. 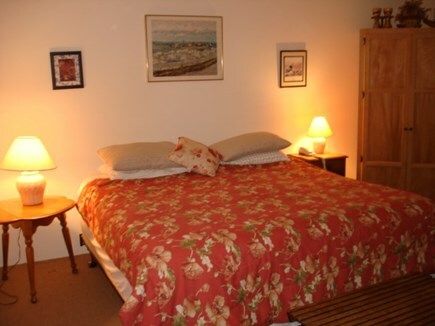 Main bedroom 1st floor. Access deck via sliders. 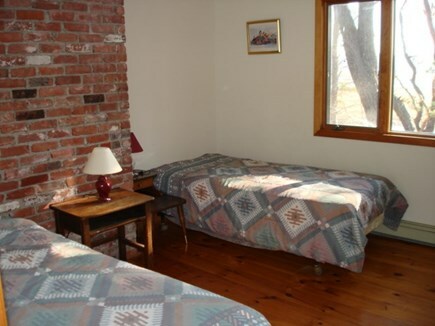 Upstairs den leads to a small deck. 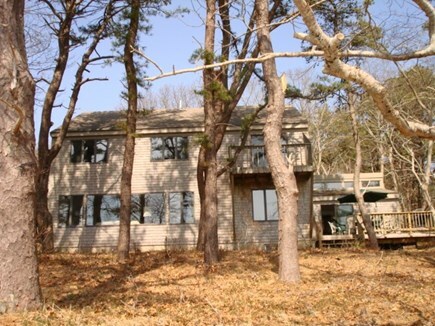 Wellfleet-Spacious contemporary home with waterviews. 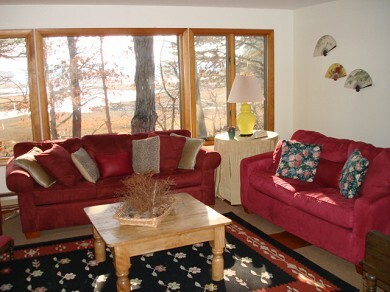 Entry level foyer to large living room which overlooks the tidal water. 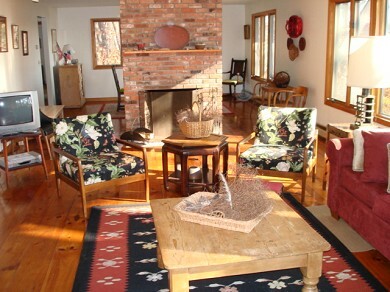 Dining area, eat-in kitchen, bath and one bedroom which leads to the deck. 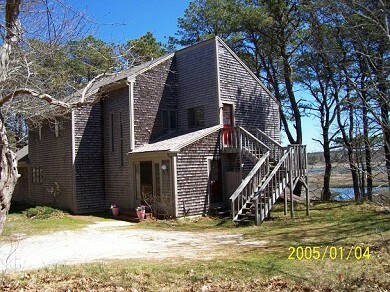 Upstairs are three bedrooms, a den with a balcony deck. 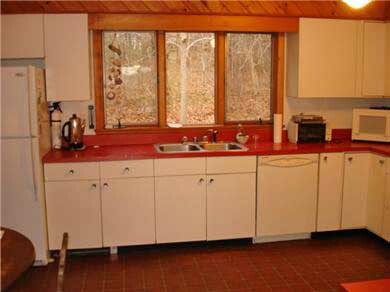 Kitchen area too. Outdoor shower. A roomy house with views and privacy. Lots of windows. When the tide is high you will see the bay waters blanket the grass. Scenic location. Cross Rte 6 to go to the ocean beach. General store and paved bike path very nearby too. 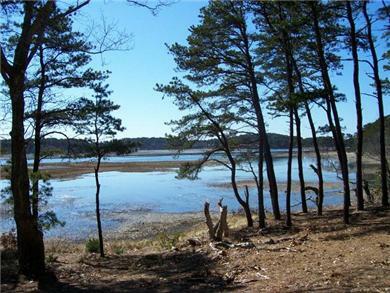 Wellfleet is known for its beautiful ocean and bay beaches. Fresh water ponds in between. A quaint village to explore. Live theater to enjoy. Drive in movie theatre, mini golf, flea market and more. 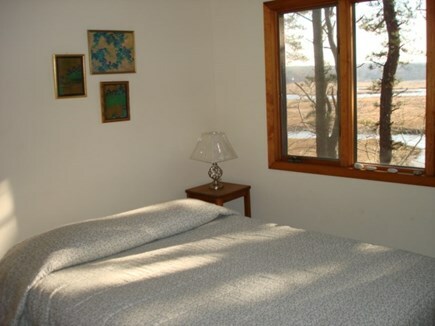 Come experience Wellfleet. Additional pricing info: Security Deposit due, ADD $20.00 process fee.Contact VIP for OUT of Season pricing opportunities, State and local taxes of 12.45% will apply.